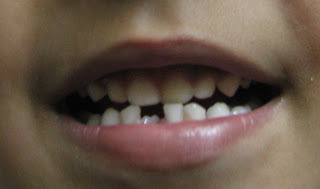 He was trying to open a packet using his teeth and it popped out. He didin't cry and there was no bleeding. 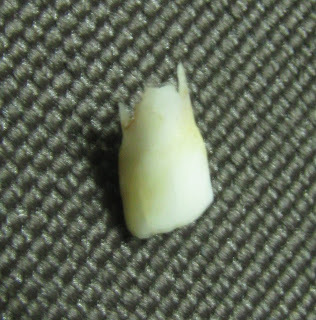 The other tooth has also started to come out and its growing quite tilted. So will need to take him to the dentist to see if anything can be done. WOW!! Really Big Boy now! Super cute.